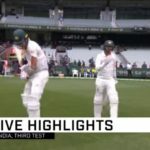 Watch how India secured a 137-run victory on the final day to go 2-1 up in the four-match Test series against Australia and thus retain the Border-Gavaskar trophy on Australian soil. 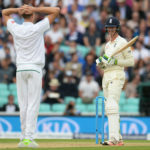 Dale Steyn says he is ‘two to three weeks’ away from an international comeback, targeting the third Test against Australia at Newlands on 22 March. What was Kohli thinking at the toss? South Africa are again in the driving seat after a day when 11 wickets fell at the Wanderers. 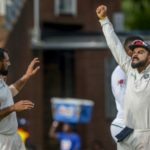 Your essential guide to the third Test between South Africa and India at the Wanderers in Johannesburg. 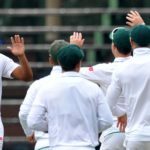 The Proteas will be ‘happy’ with the Wanderers wicket being prepared for the third Test against India, starting on Wednesday, says curator Bethuel Buthelezi. 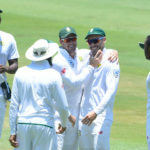 Faf du Plessis demanded a ruthless performance and he got it when his bowlers dismissed Sri Lanka for 131, trailing by 295 on the first innings. 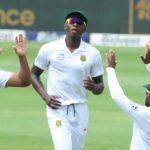 The Proteas maintained the pressure on Sri Lanka by taking four wickets for 80 runs on day two of the third Test at the Wanderers. 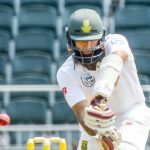 The Proteas were quick to strike back after being bowled out for 426, but Sri Lanka settled to take tea on 46-1 on day two of the third Test at the Wanderers. 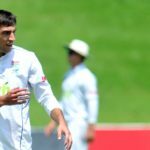 The Wanderers wicket spat fire and brimstone as the Sri Lankans wrapped up the Proteas innings for 426 shortly after lunch on day two of the third Test. 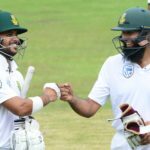 JP Duminy and Hashim Amla combined in a stand of 292 to put the Proteas well in command of the third Test against Sri Lanka at the Wanderers. 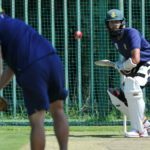 Proteas captain Faf du Plessis won the toss and elected to bat, introducing Duanne Olivier to Sri Lanka in the third Test, at the Wanderers. 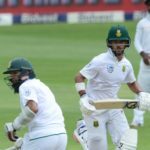 Captain Faf du Plessis believes that Hashim Amla could be the last player to reach 100 Tests for the Proteas. 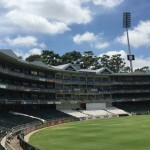 Mark Salter offers five points of discussion ahead of the third and final Test, at the Wanderers.